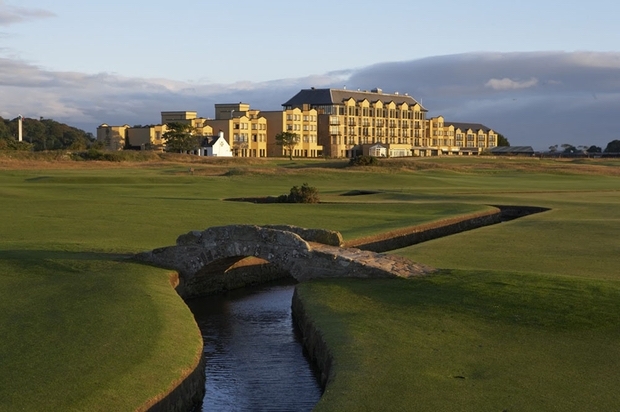 The meeting place of Will and Kate, St Andrews is an ultra-romantic location for a UK mini-moon. Situated in the heart of St Andrews, the five-star Old Course Hotel is located just a stone's throw away from the famous links golf courses, West Sands Beach and the beautiful Scottish coastline, the hotel has six unique restaurants and bars including the renowned Road Hole Bar offering an eclectic selection of over 250 whiskies. The Kohler Waters Spa at the Old Course Hotel was fully renovated and re-opened as new last year, following an extensive multi-million refurbishment. The main spa focuses on the healing effects of water with a hydrotherapy pool offering therapeutic bathing, a cold plunge pool, a refreshing ice fountain and experience showers featuring Kohler Real Rain™. There is also a steam room providing deep muscular relaxation and detoxification, a sauna and a rooftop garden with hot tub. Additionally there is a 20m lap pool as part of the large health and fitness centre. Multiple nearby golf courses will keep golf fans occupied, alternatively couples can enjoy beach strolls or walk to St Andrews to explore.